Variegated Peppermint - (mentha x piperita 'variegata') Beautiful variegated green and white leaved variety of peppermint. Same sweet scent and flavor as regular peppermint. Excellent for culinary and tea use. Tendency to revert back to it's all green form. 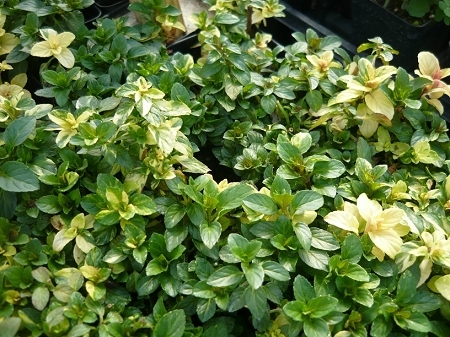 Remove solid green leaves when they appear to keep it in the variegated form. Perennial zones 5-9 Live starter plant in 3 inch container.